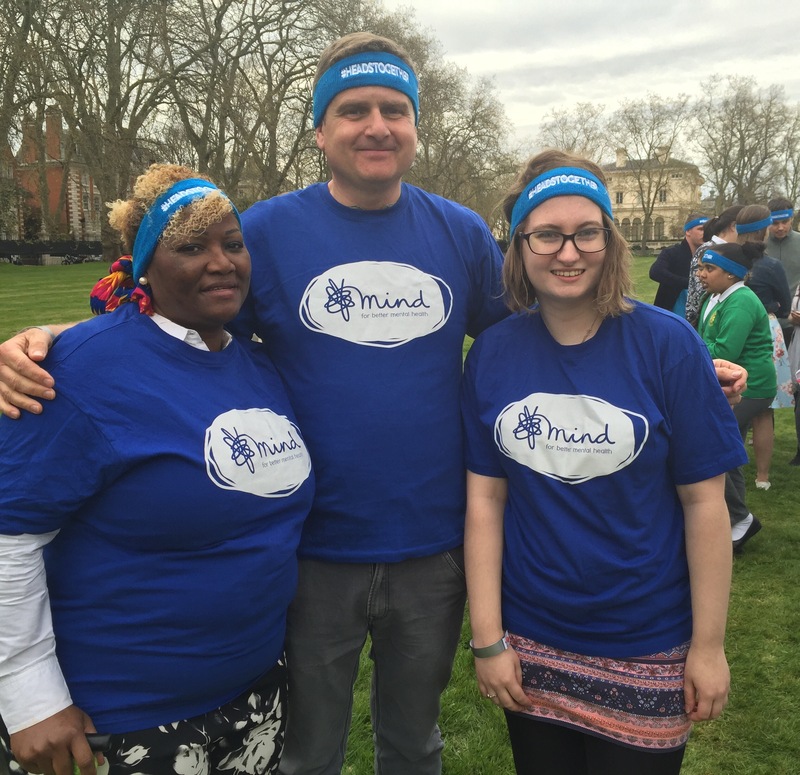 I have been volunteering for MIND since January of this year, and was honoured when they asked me to go to Kensington Palace in order to take part in a top secret media opportunity. Mental Health is highly important and effects many people throughout the country; and now it is not just charity that are working to help and raise awareness- now three amazingly exciting VIPs are championing not only MIND but multiple mental health charities. These VIPs are the Duke and Duchess of Cambridge, and Prince Harry- and I got to meet them! By now, many of you may of seen the short film that we recorded on Thursday that was aired this afternoon on BBC1- if you haven’t I highly recommend looking for it on iPlayer. The theme of the film was the London Marathon, showcasing several runners who are going to be running the 2017 Marathon in aid of the #HeadsTogether campaign, as well as involving many other volunteers like myself who have received help from the various mental health charities, and show the hard work that is done. The three fabulous VIPs are also backing the campaign, making it their charity focus for the year- which in itself, to be involved in, is such an amazing experience. Mental health affects 25% of the population in the United Kingdom, this includes a wide range of conditions- depression, anxiety as well as psychosis such as the Schizophrenia that I experience. It does not discriminate in any way, and can come on at any stage of your life- for these reasons as well as others, I feel that it is really important that awareness is raised to allow people to know how to deal with it if it does occur in their lives. By the seven charities coming together it shows just how important it is; ultimately we are all working towards the same thing- to help not only those with mental health conditions but also those who care or live with sufferers. Each charity may have a slightly different focus- whether it be children, teenagers, or adults, it is all a part of the same challenge; so joining forces can only make the movement stronger. Now for the day, it was such an awe-inspiring day for me. It had two major appeals to me, not only was I getting to share my story of Schizophrenia, but I also got to meet some people that have fascinated me for much of my life. I love history, and within that especially the monarchy- I even wrote my EPQ on the Queens of England. Although there is nothing to say you wouldn’t, it was always in my thoughts that I would never actually get to met a member of the royal family, so to get to meet the future King, well I can’t think of the words to describe how amazing that is for me. Plus, as if meeting was not amazing enough, I actually got to talk to Prince Harry about an element of mental health that is very important to me- that more needs to be done within schools to help students to understand if they are having a problem, as well as where to go to get support for this. When mentioning how, when trying to get help for my voices early on, I was told to deal with it as it was everyday stress, the Prince seemed openly shocked- as did others within the group. Many young people could avoid having long-term mental health issues, or even mental breakdowns like what I experienced if children were given the support early on. This could be in many forms, to be fair as being not much more than a child myself, I’m not even completely sure the best way this could be done; all I know is, telling children to work harder, to ‘deal with everyday stress’ is not the answer. On a personal note, this was definitely one of the highlights of my life so far, being a day I will not be forgetting any time soon. Everyone, charity workers, volunteers, film crew and the VIPs were all so friendly, and determined to pull together to launch this campaign and allow as much as possible to be done to help raise awareness for Mental Health. I am adamant that there are great things to come of this campaign, and that it will not be the first time that I write a post in support of it. Alex this was and is an amazing opportunity for you and I am so thrilled that you were able to be a major part of it…… Thank you for raising youth mental health to the future heads of this country and for being so honest with them….your personal story can never be undermined and I know it will have had an impact…..sadly there are too many today not listened too, not helped nor believed…..